California, Oct 16: Two young entrepreneurs have set out to 'kill' PayPal with their very own online payment service, called WePay. Their weapons? Exemplary customer service and easy processing of group payments, collection of dues and fundraising. 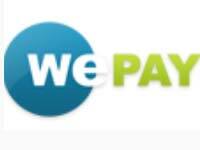 25-year-old Rich Aberman and 24-year-old Bill Clerico kick started WePay in Apr 2010. The online payment service, aimed at taking down market leader PayPal, currently enjoys 500 new users joining in each week. WePay is the brainchild of Aberman, who two years ago found himself struggling to raise funds for a bachelor party. Aberman, who learnt from the cons of PayPal roped in Clerico and went to PayPal co-founder Max Levchin, who is now one among the investors. "These guys showed up and said, 'Hey, this is what PayPal doesn't do well.' And I said, 'Yeah, I know'. The rest was establishing that these guys could do it better," Levchin is quoted as saying in a media report. According to CNN Money, WePay's weekly transaction totals tripled between Jul 2010 and Aug 2010, when it hit $1 million. "As much as I love and respect PayPal, I'm not too worried, because they're not moving as fast as startups," Dave McClure, a former PayPal employee and a founding partner at 500Startups, a venture fund that backs WePay is quoted as saying. WePay, currently a 13-person company, is betting everything on its customer service, which encourages interaction and suggestions from the growing number of users. However, the WePay faces a very real possibility of being squashed by PayPal, if the market leader, with 85 million active accounts and more than $71 billion passing through its system annually, decides to make some changes on the lines of multi-party transactions and improved service. Hacker uses PayPal account to buy Condom for elderly woman!